Every person is unique, so too are their care needs. Hence, we will tailor your care with you. Team Carita home care has therefore been created in response to this need for a bespoke care that is practical, safe, centred around the whole person and delivered by a team of proven care givers. Team Carita DCS Home Hub: your care team is supervised to enable you access all your care needs while still living in your home. 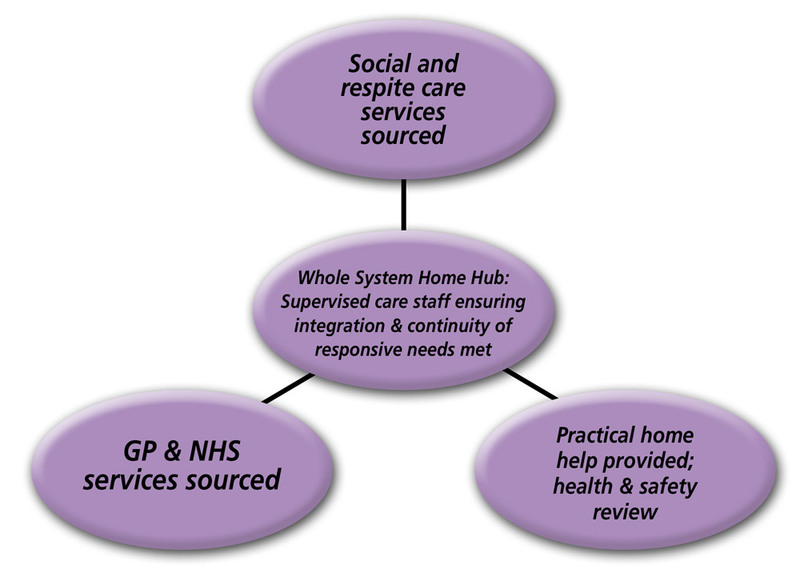 Ours is a proven user-centred approach that will enable an integration across the care needs spectrum as illustrated above. A PROVEN BUSINESS OPERATIONAL MODEL that is a person-centred, configured and supervised link care. 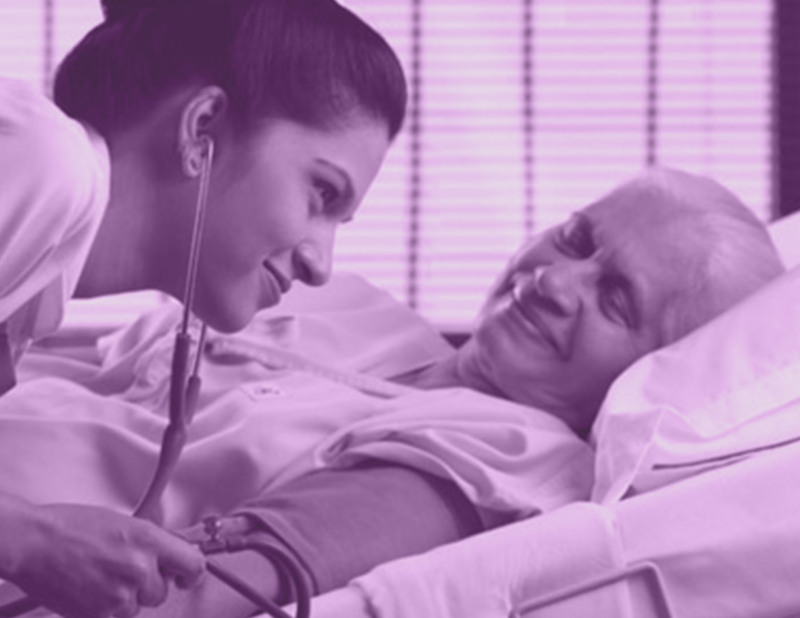 A BESPOKE HOME CARE HUB: based on a model optimised in partnership with Social Services over 7 years in London, Manchester, Bristol and Cardiff, we maintain a select pool of screened and trained healthcare personnel. Each service user is assessed for their needs at their home. A personalised service plan is then tailor-designed with the involvement of the user and or their relatives. Following needs assessment and service specification, the best fit match care personnel is selected from our carers pool and an initial matching meeting agreed with the service user and or their relative. Every match meeting is presided over by the Statutory / Registered Manager who shall have personal responsibility for supervision and periodic review of the/ every service provision. Our corporate QC scheme (with learning from the CQC, NICE & the UK Forum) shall provide a third tier supervision as company policy. A care mandate shall then complete the financial procurement process leading to contract. 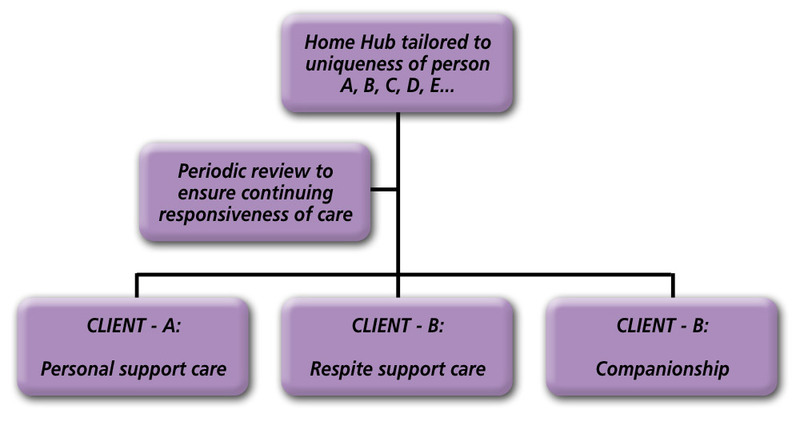 CARE HOME OPTION: a variation solution is available for the provision of the above bespoke care to the service users away from their usual home. The emphasis here is to provide a care service that makes the user feel at home albeit away from their usual home. * Nkohkwo, A, Chacon A, Phekoo K : “Commissioning Primary Care… a ‘Community Hub’ model: proposing a way forward in 2012 and beyond.” Policy Strategy Paper submitted to the Department of Health & NHS England Commissioning Board. London February 2012.